← Can a Country Without a Currency Have a Currency Crisis? My previous piece on the Kaldorians and their insistence on misusing well-established economic terminology to make their argument that the Eurozone crisis is a balance of payments crisis (BoP crisis) met with all sorts of calls for definitions. No matter how many I provided the calls continued, like a small child asking “why” over and over again. 14.39 There are many situations in which it may not be feasible to rely on private and official resources to finance a current account deficit on a sustained basis. If a deficit is unsustainable, the adjustment will necessarily happen through change in the willingness of market participants to provide financing or depletion of reserves and other financial assets, or a combination of both. Such adjustments may be abrupt and painful (up to the possibility of a balance of payments crisis). 14.42 If large amortization payments are due in the near future and expected financial inflows are not sufficient to cover payments falling due, it may be necessary to undertake adjustment measures beforehand to avoid more drastic measures required for dealing with a subsequent balance of payments crisis. Clearly the IMF considers a BoP crisis to be one in which the funding of a current account deficit is at issue. This, of course, cannot happen in the Eurozone anymore than it can happen between states in the US because of the existence of the Target2 mechanism for balancing payments. Fortunately or unfortunately, I really cannot be any clearer than presenting the IMF’s own manual on the issue. Of course, those that want to continue to play Humpty Dumpty and make up their own definitions of words will not relent. Why? Because when smart people make such stupid mistakes they often feel the need to dig their heels in rather than issue a mea culpa. But in doing so and continuing to play at being Humpty Dumpty it is only their own credibility they will damage. Update: Serial Humpty Dumpty Ramanan has responded to my original post. In his latest post he gives us a nice definition of what a “balance of payments” is, but no definition of what a “balance of payments crisis” is. Of course, from his highly idiosyncratic use of the term toward the end of the piece we can see that he does not use normal vocabulary. This is enormously ironic given that, in the past, Ramanan has been insistent that others use standard definitions of terms because if they do not “one gets hodgepodge and/or endless redefinitions”. Indeed. Of course, when it comes to trying to debunk MMT Ramanan’s double standards slip into the mix and we get “hodgepodge and/or endless redefinitions”. Why do balance of payments problems occur? Bad luck, inappropriate policies, or a combination of the two may create balance of payments difficulties in a country—that is, a situation where sufficient financing on affordable terms cannot be obtained to meet international payment obligations. In the worst case, the difficulties can build into a crisis. The country’s currency may be forced to depreciate rapidly, making international goods and capital more expensive, and the domestic economy may experience a painful disruption. The Irish euro, of course, has yet to depreciate against the German euro signalling that once again, the Eurozone crisis — despite being in part due to trade imbalances — is not a BoP crisis. While it is true that the Target2 has a stabilizing role to play, you are presenting it as if it is the magic bullet. When a nation sees a large outflow of funds, while there exists an unlimited credit between NCBs, the same is not true between banks and their NCB. So banks can run out of collateral and an ELA is needed. The ELA cannot be used as per Phil Pilkington’s wishes. It needs a 2-3rds majority of the ECB governing council. Hence Target2 cannot finance CADs indefinitely. So official help from foreign institutions is needed. They finance what private foreign markets can’t finance. Official help will appear in the capital and financial account of the balance of payments. As I said already Ramanan: if and when an actual funding crisis occurs due to the conditions you lay out we can then have a discussion if such a crisis is a BoP crisis. Until then, you’re just playing Humpty and it reflects poorly on you. Keen has always responded positively to criticism, I suggest you take a page out of his book. Nations who were/are in more problematic state have relatively weaker balance of payments than the others. It is crystal clear in the data. Of course it is a funding crisis. Nations with weak balance of payments have to finance their debts from foreigners who withdrew financing and hence funding from *foreign* official institutions was needed. The Greek government cannot say that target2 will take care of indebtedness to foreigners. It had to find funding from abroad instead of relying on Target2. Plus guess what ? …. these funding items appear in the capital and financial account of the balance of payments. Do you really think that serious people are going to take those arguments seriously, Ramanan? I mean, have at it if you want. It’s your credibility on the line. “… But more disturbing still is the notion that with a common currency the ‘balance or payments problem’ is eliminated and therefore that individual countries are relieved of the need to pay for their imports with exports. Cyprus recently resorted to capital controls. Isn’t that indicative of a balance of payments problem? 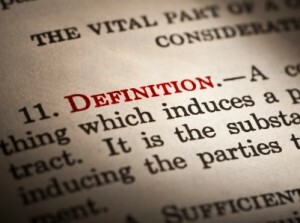 You simply miss the issues at at from the start: balance of payments definition is not a currency dependent definition. It is a geography dependent definition. Supposedly according to you, a funding crisis hasn’t happened – but it has already happened! Were you napping all this while? You present the case as if the TARGET2 imbalances can continue forever. But I showed you why it cannot be so because the thing ends up in ELA. The fact is that there exists a risk of exit and in that case the Euro Area nation with TARGET2 liabilities will be indebted in foreign currency. It is the contingent conversion to a new domestic currency which makes the Euro a de facto foreign currency. (MMTers have themselves presented the Euro as a “foreign currency” but you don’t seem to know it). You seem to confuse this with the case where there is a federal union (which doesn’t exist now and so the situation is not the same at present with the US). Even with Federal government while the troubles will be drastically reduced, geographic areas which are less competitive in trade will have lower income than the rest even though they are in receipt of fiscal transfers in their favour. But for some reasons you want to ban words such as “balance of payments crisis” by saying “your credibility is in the line”. But first get rid of your deeply incorrect notion that TARGET2 imbalances can continue forever without any problem. (1) As I pointed out to another Humpty Dumpty in the comments on the other post: a “balance of payments problem” is not equivalent to a “balance of payments crisis”. Some may say that the US and the UK have a “balance of payments problem” because it is leading to unemployment. Only an ignorant person would say that they have a “balance of payments crisis” which has a very specific meaning. Godley, since he was not an ignorant person, used the former term when referring to the EZ, not the latter. (2) Your arguments are becoming increasingly ridiculous as are shown by your misleading examples. Cyprus put capital controls in place so that they could levy a tax on deposits. In a BoP crisis capital controls are put in place to prevent capital flight due to fears of devaluation/inflation; this capital flight then leads to said devaluation/inflation. Any educated person can see through your examples. I suggest that you stop insulting peoples’ intelligence by making such misleading statements. If you want to define the EZ crisis as a “BoP crisis” you are free to do so. But you are coming across looking extraordinarily silly. I hope you realise that. Same true for Cyprus, fear of capital flight. If there is capital flight, the Eurosystem would not have been able to finance its current account (read about ELA) and would have been forced out of the Euro with devaluations of assets and liabilities. Fun you say Cyprus doesn’t have a BoP crisis! If you agree there is a balance of payments problem it doesn’t take too much imagination of thinking of a balance of payments crisis. So according to you there is no balance of payments crisis. Let us look at this claim. It means there hardly any trouble borrowing and refinancing existing debts with non-residents or purchasing imports. Which of course is incorrect. Didn’t FMs and PMs make trips outside the country to find financing? to an external balance of payments crisis. That IMF quote doesn’t say a word about BoP crises. I searched the whole document and pulled out the relevant quotes. Imagination is a wonderful thing, Ramanan. But let it stray too far and you’ll just muck up the meaning of words and come off as a crank. If you want to go down that route, that’s your prerogative. I’m staying on this side of the fence, thanks. So it is talking of a Syrian crisis is it? Your IMF quotes prove nothing. In fact those arguments work against your claims. It’s just that you make it look as if it is supporting your arguments. “Syrian crisis” has no firm definition. Ironic quote of the week. I think we’ll just have to let posterity decide whether your bizarre interpretations of a BoP crisis will hold sway or whether people will recognise that such a crisis requires an entity to have its own currency. We’ll see. My guess is the tried and tested definition will remain in place. In the meantime I suggest going over to Wikipedia and arguing with the editors to get the articles I linked to in the last post changed. Because if your arguments are sound you should be able to get them to change the Wiki articles. Please let me know when you succeed and I will highlight it on this blog. Good luck!